LAHORE: Leading Pakistani human rights advocate, lawyer and former UN special rapporteur Asma Jahangir has died of cardiac arrest, her family said Sunday. She was 66. According to her sister, Hina Jilani, the funeral arrangements have yet to be announced. her daughter Munizae Jahangir, In a statement by said that the family waited for relatives to return to their hometown of Lahore. Officials at the private hospital where Jahangir passed away said she was brought to the hospital unconscious after suffering brain hemorrhage resulting from a stroke. Bar associations across the country have said they would be observing three days of mourning and not partake in court proceedings. She remained the head of the Human Rights Commission of Pakistan and the Supreme Court Bar Association. 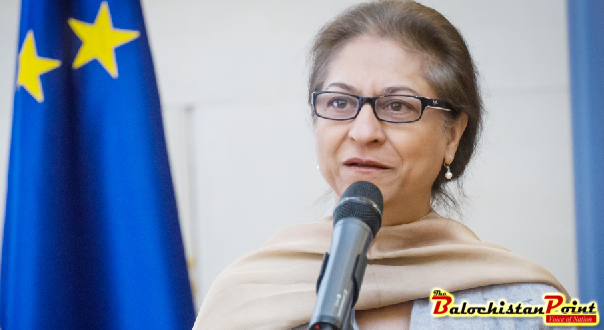 In 2014 Asma Jahangir received France’s highest civilian award and Sweden’s Right Livelihood Award, for her decades of rights work. She faced death threats, beatings and imprisonment to win landmark human rights cases while standing against dictators. She was one of the founding members of Human Rights Commission of Pakistan. Asma Jahangir secured a number of victories during her life, from winning freedom for bonded labourers from their “owners” through pioneering litigation, to a landmark court case that allowed women to marry of their own volition. Ms Jahangir was arrested in 2007 by the government of then-military ruler Pervez Musharraf. Prime Minister Shahid Khaqan Abbasi expressed grief at Asma Jahangir’s death, praising her contribution to upholding the rule of law and safeguarding human rights.